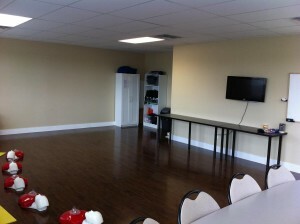 CPR Training Courses in Kelowna, B.C. 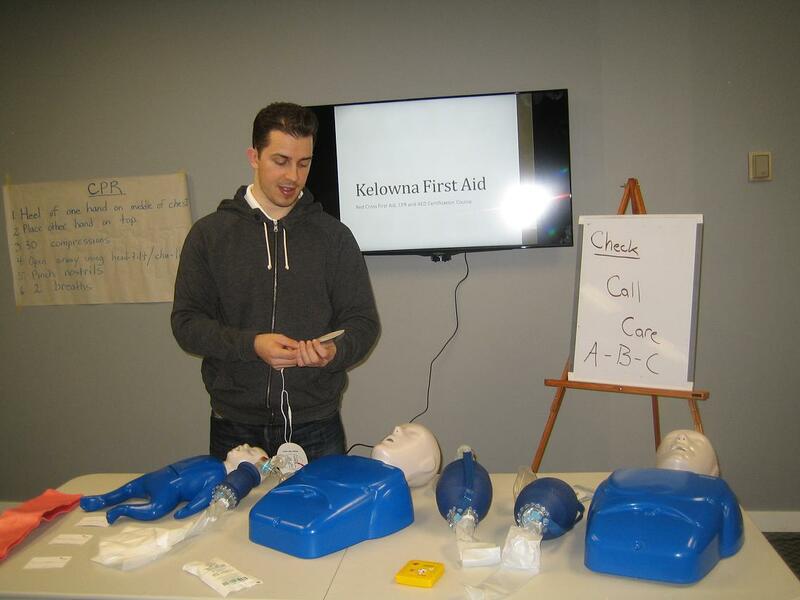 Participants that need WorkSafe BC approved first aid certification can register with Kelowna First Aid. This provider has been offering a variety of first aid, food safe and safety programs in the Okanagan region since 2008. It main training centre is located along Harvey near the centre of Kelowna and private classes are available in which the instructor can come to you. Free parking, great access to transit and plenty of nearby amenities make this provider a great place to take your course. Courses are available on-line, on weekdays and on weekends. Popular courses include standard first aid which is a two day course, childcare first aid (also a two day course) and WorkSafe BC approved occupational first aid level 1 training which is a one day program. Standard first aid and occupational first aid can be combined into a two day standard occupational first aid program which includes standard and OFA level 1 certification. Get certified for the workplace and learn life saving skills by enrolling in CPR and first aid courses with Kelowna First Aid. Trainees can visit the Kelowna First Aid website here to view a complete list of available classes for enrolment. Available courses include on-line training, food safe and first aid adn CPR courses. After choosing your desired course, just fill out the registration form on the website to complete your enrolment. Other ways to enrol include e-mails, telephone calls, and walk-ins during business hours in any of Kelowna First Aid’s training centres. Successful participants that complete standard, childcare or emergency first aid training immediately receive a workplace approved or WorkSafe BC approved certificate that is valid throughout BC and Canada for 3 years. Refresher courses for re-certification of expiring certificates are available for standard, childcare, CPR level “C” and “HCP” courses. Prerequisites for re-certifications include having a current award from a credible Canadian provider that is equal to or higher than the re-cert course. Previous certification award must be brought to the course prior to receiving a new award. Participants that do not meet the prerequisites will be required to re-take the original course. The re-cert certificate is of equal value to original award and is valid for 3 years throughout Canada. This course is ideal for individuals that are required to have current certification for workplace and academic purposes. Private classes are also available for groups of almost any size. Use the contact information to inquire as to whether you meet re-certification requirements or to receive a quote for a private course. Companies, businesses or large groups can book or attend private courses which can be held at the training centre or at your facility. This workplace approved provider has outstanding relationships with businesses within the Okanagan Valley. 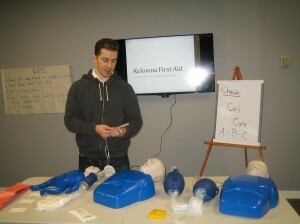 Kelowna First Aid course rates are easily the cheapest in the area. Rates vary between 50 dollars to 144 dollars depending on the level of the CPR training course enrolled in. Course rates are inclusive of taxes, certification fees, and training manuals so students don’t have to worry about additional expenses. Should a trainee be unable to complete a course, full refunds are given, provided there was a 72-hour notice before dropping out. Drink fluids to rehydrate. Water or sports drink is the best kind to hydrate with. Apply aloe or unscented lotion to affected area. Assist victim to bathe in lukewarm water to sooth the burn. Use cold compresses for pain and discomfort. Over-the-counter analgesics may be taken for pain.